LR’s expansion of the dorms and infrastructure at Anton de Kom University is designed to open the doors of knowledge for thousands more local students in the coming years. By improving access to higher education, this extensive development project will directly contribute to the future strength of Suriname’s economy and leadership. 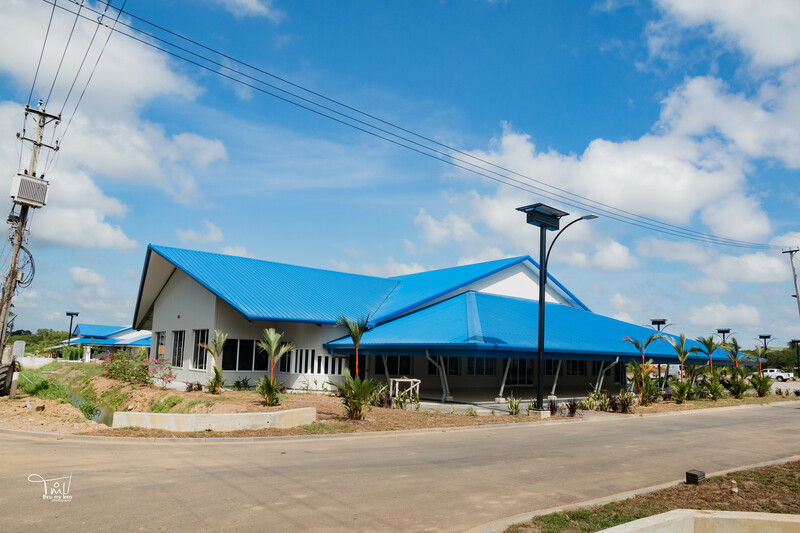 Improving the facilities available at Suriname’s only university, helping thousands more students continue their education, while contributing to local economic development. 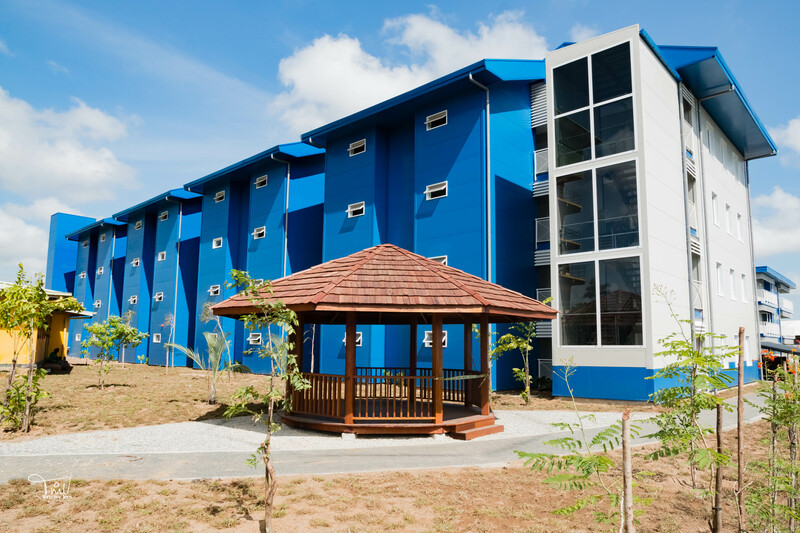 Established in 1983, Anton de Kom University is currently the only institution for higher education in Suriname. The university, located in the capital, Paramaribo, includes faculties of medicine, social sciences, humanities, mathematical and physical sciences, and technological sciences, as well as a number of research centers. The university is an important part of Suriname society and represents the country’s aspirations for future economic and social development. However, the lack of adequate accommodation makes it difficult for many students from outside Paramaribo to attend the university. Building new dormitories and infrastructure to accommodate thousands more students. 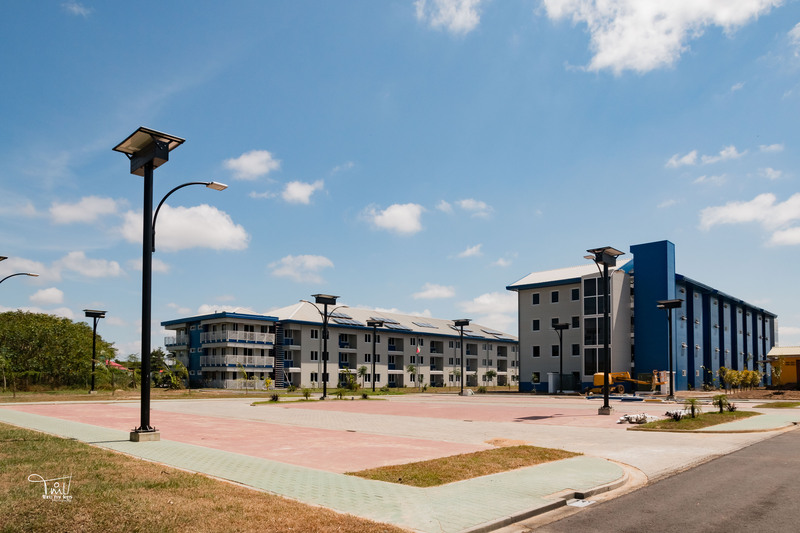 LR was recruited by the Suriname Government to undertake a large-scale project designed to expand and improve the university’s facilities, primarily through the construction of student dormitories, additional research buildings, and an auditorium. 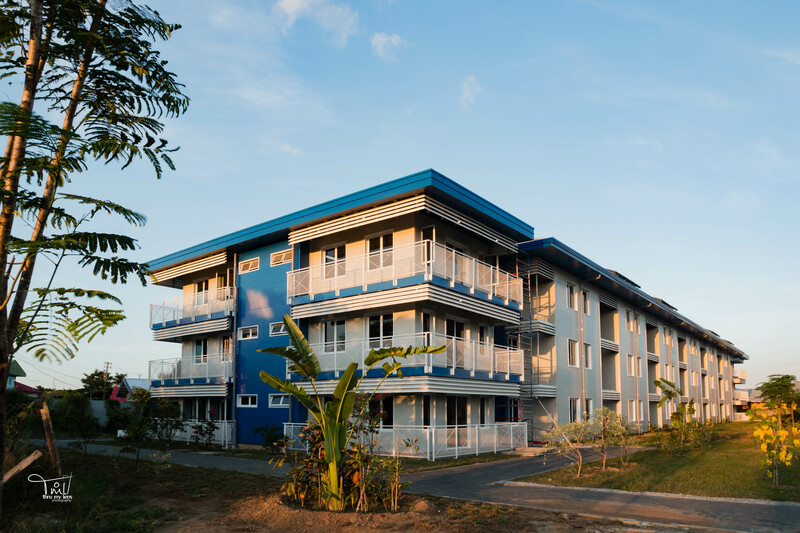 The core goal is to improve accessibility for students from all over Suriname, making it possible for them to continue their studies by providing not only accommodation, but also an appealing academic environment. Undertaking a large-scale project involving complex infrastructural requirements. LR is undertaking the complete architectural, engineering, and management of all four project phases, including electrical and water supply, HVAC, elevators, bathrooms, furnishings, and amenities. LR will also carry out landscaping work and the addition of outdoor lighting, walkways, access roads and parking lots. Each phase and element of the project needs to be precisely planned and coordinated to guarantee complete success. Nine student dormitory buildings, two research buildings and an auditorium – all with the necessary infrastructural development. The student dorms will comprise nine buildings of various sizes intended to house 1,504 students (44,664m2 in total on an 7 hectare lot). These include a single-story public building (2,250m2) with a variety of amenities catering to students’ needs, such as a restaurant with a 500-seat dining hall, kitchen, office space, a small store and a separate laundry room. Two identical 4-story research buildings are also being established on a 1.225 hectare lot, and will cover 3,170m2 each. Finally, the new auditorium building, covering 3,750m2 on a 2.3 hectare lot, will feature two halls with terraced and balcony seating for 1,200 students each, in addition to stages, backstage areas, and a foyer. This ambitious project is the first step toward enabling more young Surinamese people to further their education. 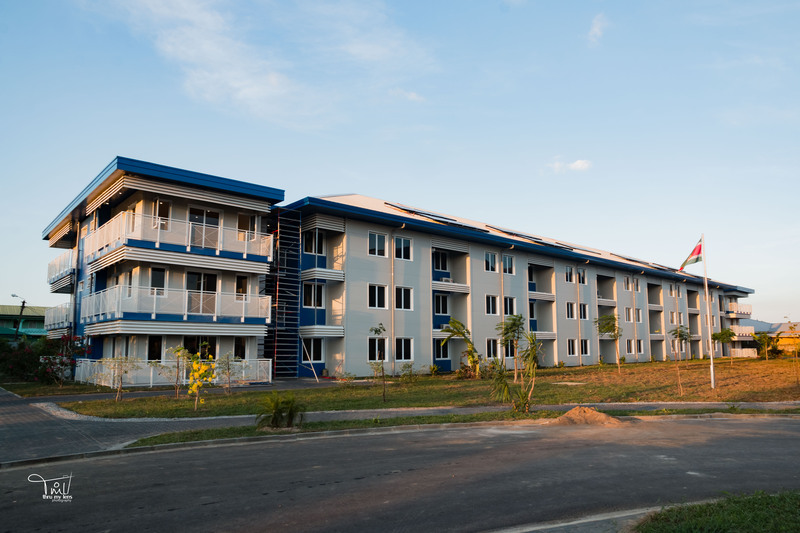 The new dormitories will provide more students, especially those who live far from Paramaribo, with the opportunity to continue their studies. This is intended to create a new generation of educated leaders able to spearhead Suriname’s development in the 21st century. During the second phase of the project, LR will complete the construction of several research institutes, which will have a direct positive effect on both the university’s academic standards and Suriname society.